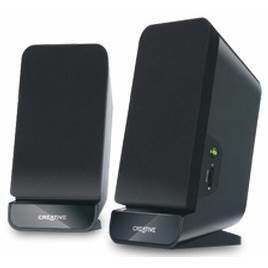 Creative Labs A60 51MF1635AA003 2.0 Speaker System. Frequency Response: 90Hz ~ 20kHz. Signal-to-Noise Ratio (SNR): 75dB. Power: 2 Watts RMS per channel (2 channels).